I am starting a new post on this blog which will be called ‘Photo Friday’. Every Friday I shall post a photo from the back-catalogue that makes me smile. It is good to smile on a Friday! This week I post a photo of the ‘breakfast seller’ of Serrekunda Market in The Gambia. I love breakfast and the concept of having a special breakfast stall in the middle of a market to serve all the hungry shoppers is a great idea. 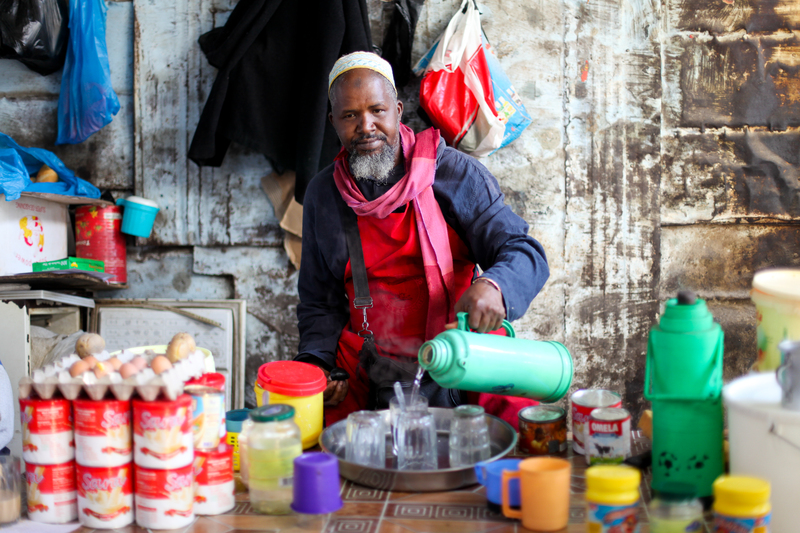 This guy served up tea, coffee, porridge, eggs and bread! I wish I had a breakfast stall in my local market…. 🙂 I am trying to get something a bit more regular on here. It is so nice to look back every now and again too and take stock! Oh yeah, totally agree – I love looking back through albums! Good luck with it!